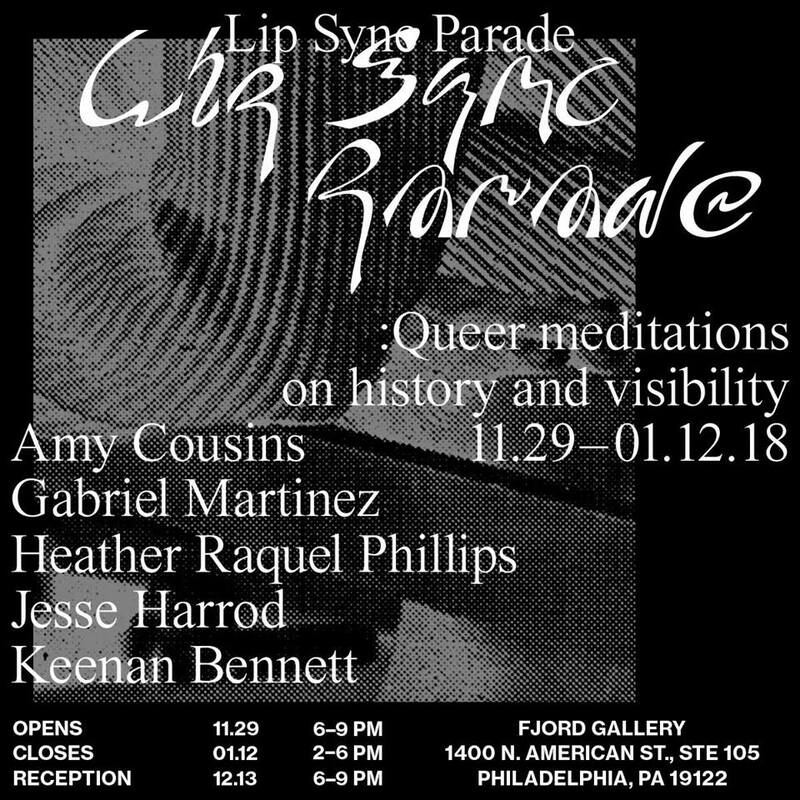 FJORD is pleased to announce upcoming group exhibition “Lip-Sync Parade,” featuring work by five Philadelphia-based artists Amy Cousins, Gabriel Martinez, Heather Raquel Phillips, Jesse Harrod, and Keenan Bennett. Curated by gallery member Doah Lee, the exhibition will be on view from November 29th to January 12th, and an opening reception will take place on December 13th from 6-9pm. This exhibition, Lip-Sync Parade, presents new works by the artists who are exploring complex notions of gender and sexuality through visual forms ranging across drawing, textile, sculpture, video and mixed media-based installation.